Mak Grgic, proclaimed "imaginative, gifted and expressive" the NY Times and a "guitarist to keep an eye on" by the Washington Post is an innovative player, who programs music as far reaching as works from the avant-garde, film music to the great classics of guitar repertoire and early works. His new recording on Marquis Music entitled Cinema Verismo focuses specifically on music used in cinema over the last few decades, which mixes classical works used in films and transcriptions of cinematic scores. Mak, who was recently a Young Artist in Residence at The Da Camera Society of Los Angeles, is a co-founder of DC8, Da Camera's contemporary music ensemble, which strives to expand the definition of what a modern music ensemble can be and was named an "inspiring addition to the contemporary music landscape in Los Angeles" by the LA Times. His collaborators have so far included Martin Chalifour (Concertmaster of The Los Angeles Philharmonic), cellist Jay Campbell, Joshua Roman, The Assad Brothers, Ashley Bathgate (cellist of the Bang on a Can All-Stars), John Sant'Ambrogio (former principal cello of the St. Louis Symphony Orchestra), Paul Vasile and Stephen Ackert on the organ, percussionist Ian Rosenbaum, and guitarist-composer Nejc Kuhar, with whom Mak made his first album String Modulations, sponsored by The National Radio of Slovenia and the Ministry of Culture in Slovenia. 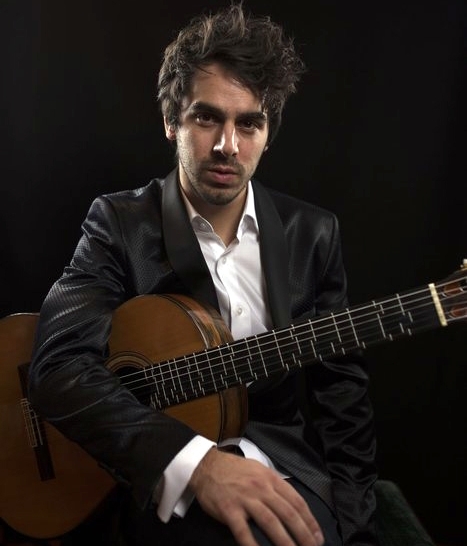 Born in Ljubljana, Slovenia, he studied guitar in Zagreb with the revered Ante Cagalj at the Elly Basic Conservatory of Music and obtained his Bachelor's Degree with Alvaro Pierri at the Universitaet fuer Musik und darstellende Kunst in Vienna, Austria. At the moment he is finishing his Doctoral Degree at the USC Thornton School of Music as a student of William Kanengiser and Scott Tennant of the Los Angeles Guitar Quartet. He is also a teaching assistant at USC under the direction of Brian Head. His charitable activities include fundraising for Bosnian children with financial issues.